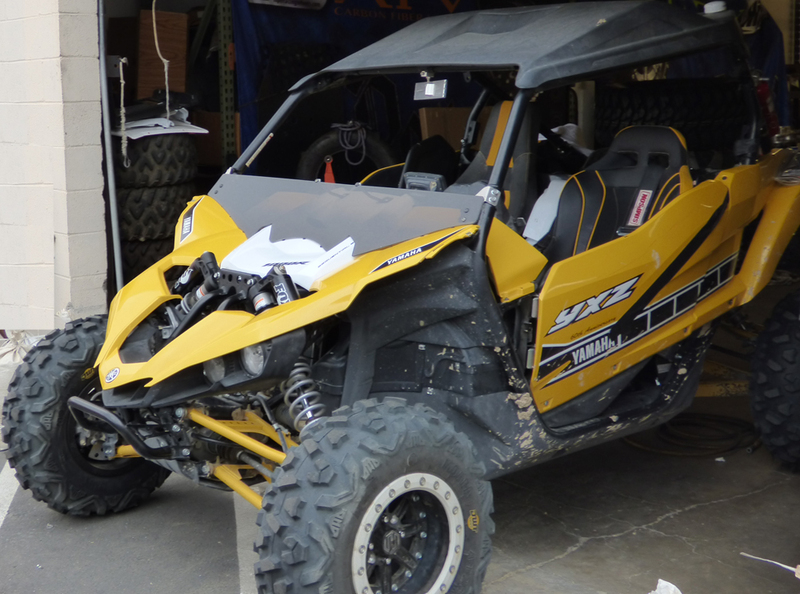 It’s a windshield for the Yamaha YXZ! It’s already shown a marked improvement in helmet buffeting and wind chill, and ours requires no drilling of the body. Prices will be posted as soon as the production spec is finalized.